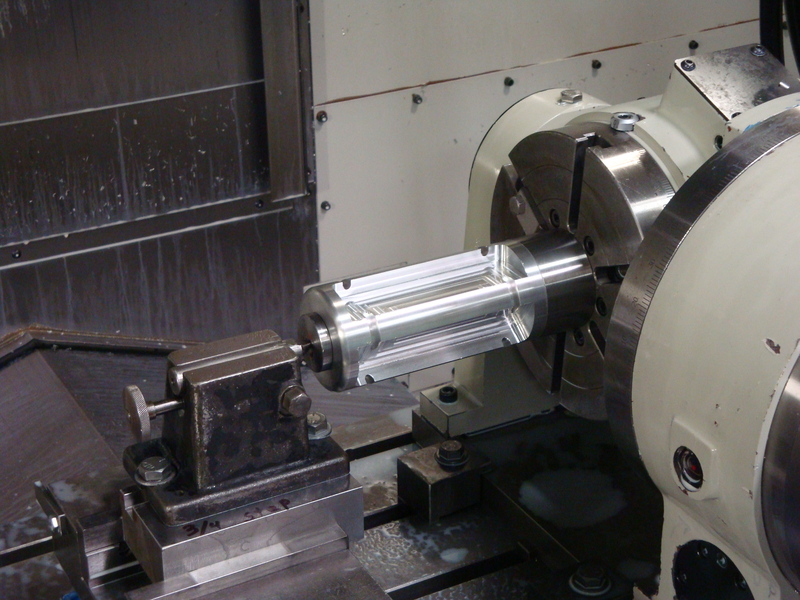 Machining of aluminum part using 4th axis milling capability. Mori-Seki 3 axis milling center with add-on 4th and 5th axis, gives full 4th and 5th axis machining and contouring, allows machining of multiple faces with just a quick move from one fixture to another within a single program. Approx. 4" dia. x 8" lg.